Need to report a Debit Card Dispute? Need to report a lost or stolen Debit/ATM Card? During Business Hours: Call your local branch. 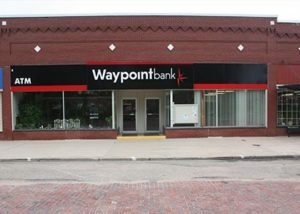 Waypoint Bank in Clay Center serves residents from surrounding areas! We proudly provide community-focused banking services to our friends living in these cities and counties: Clay Center, Harvard, Hastings, Sutton, Fairfield, Edgar, Ong, Shickley, Geneva, Bruning, Aurora, Lawrence, Nelson, Glenvil, Grand Island, Deweese, Red Cloud, Superior, Davenport, Carleton, Saronville, Holstein, Clay, Nuckolls, Webster, Adams, Hamilton, Fillmore, and Thayer. Let us guide your success!